Sometimes I think my black bean addiction is getting a bit out of hand. In any given week, a typical menu involves at least two and often three main dishes that center around black beans. Burritos, patties, burgers, pizza, soup. 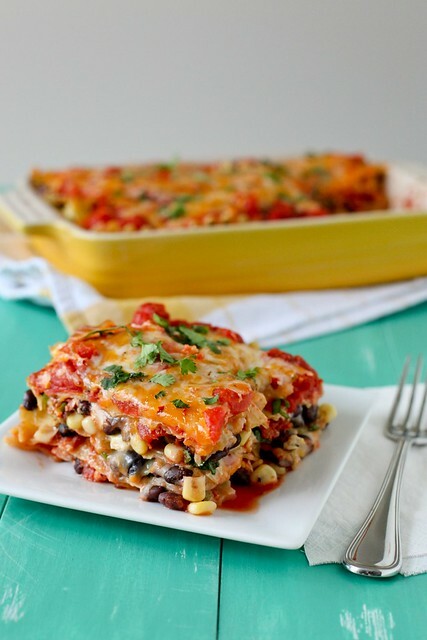 The list goes on and now the list grows one longer with this totally awesome Mexican lasagna. 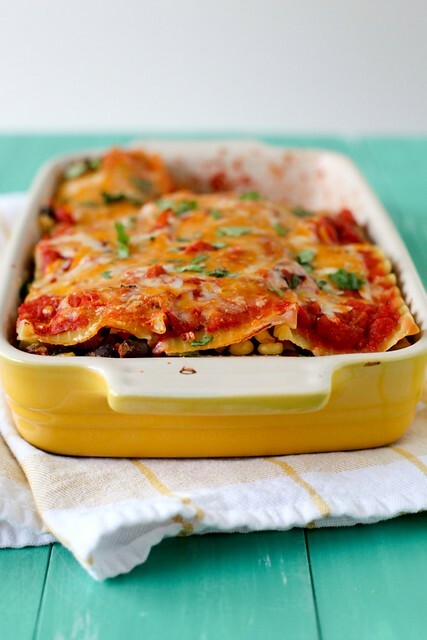 Even more awesome than the lasagna itself is where the recipe comes from. 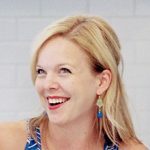 My friends Sonja and Alex are fellow Indy residents and co-author one of my favorite blogs, A Couple Cooks. Their commitment to eating locally, seasonally, and as sustainably as possible is admirable and inspiring. (Also, they just returned from traveling in Cambodia to help raise awareness in the fight against human trafficking. Seriously, they are amazing people.) I’ve enjoyed every single one of the recipes I have prepared from their blog, but recently our family enjoyed the distinct pleasure of having dinner with Alex and Sonja in person and getting to try their cooking first-hand. They brought over this lasagna one evening and we had an absolutely wonderful meal, thanks to their fabulous food and excellent company. Ever since, I’ve been craving this meal, so onto our menu it went and now here you have it. As lasagnas go, this one is very low-maintenance. There is no real cooking of the ingredients required beforehand, just a bit of chopping and assembly. This actually reminds me a lot of the black bean tortilla pie that I make frequently, but with lasagna noodles instead of tortillas, and with tomatoes (always a good thing in my book). It makes great leftovers as well. Our whole family absolutely loves this dinner and I can tell it will be going into heavy rotation at our house.